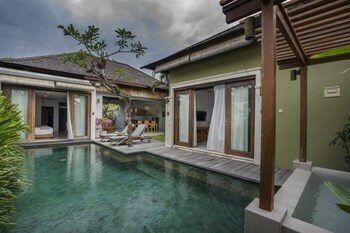 Expedia has Seminyak packages ready for you. Combining your airfares and lodgings is one of the simplest ways to save money on your upcoming adventure. As much as 80%* can be saved when you book a package deal on Expedia. Select from more than 400 partner airlines and 321,000 worldwide properties via our extensive database of flights and accommodations. Fly with who you want, stay where you want — now that's a dream holiday! 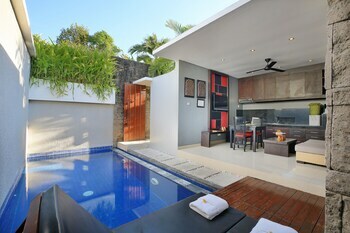 Getting fired up about your trip to Seminyak? Keen for some recommendations about what to see when you're there? That's where we come in! 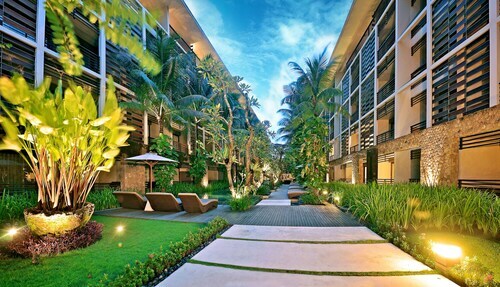 Seminyak is the home of Kuta Beach. Travellers come from far and wide to catch sight of this iconic attraction, and we highly recommend you join them! This city is filled with surprises just waiting for you to find. Pull out your selfie stick and capture some great moments at Tuban Beach and Legian Beach. If you and your travel buddies are looking for somewhere to regroup, Seminyak Square is an ideal option. Chat over a coffee and peruse the stores for that perfect souvenir. There's a great range of things to do in this destination. Beachwalk is the perfect place to go if you're craving a bit of window-shopping. With crowds of people bustling in and out, you'll have lots of fellow shopaholics to keep you company! Still got time to spare? Shopaholics listen up — you'll be able to treat yourself to some impulse buying at Mall Bali Galeria. Ready to exercise your wallet and buy up a storm? Travelling is about doing things you get a kick out of as well as things you've never tried before. Ready to embark on some thrilling new experiences? For a full range of ideas, check out our Seminyak things to do page. End your day of fun activities with a nice comfy bed and a fluffy pillow. 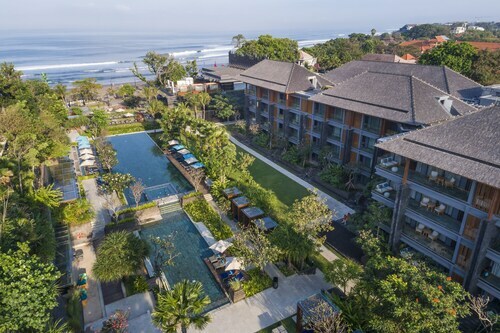 Scroll through the 1,079 properties in Seminyak available via Expedia and pick one for your luxury getaway or cheap holiday. 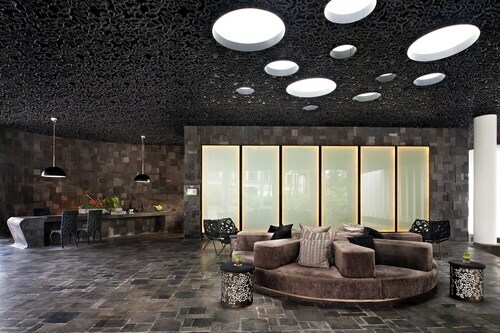 Seminyak's premium choices such as the Ziva a Residence (Jl. 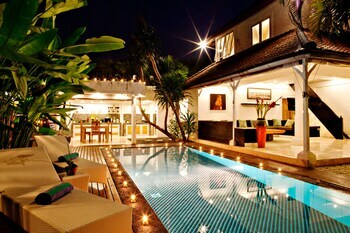 Sari Temuku No 1) and The Legian, Bali (Jalan Kayu Aya) are sure to please the most discerning guest. If you don't really like shelling out such big bucks, why not spend your evenings somewhere less expensive? 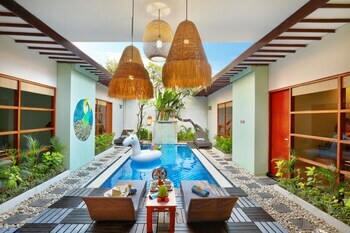 Try The Samaya Seminyak (Jalan Laksmana, Seminyak Beach) or the C151 Smart Villas at Seminyak (Kayu Aya Street no.151). Seminyak is home to Kuta Beach. If you want to stay nearby this famous attraction, the Villa de daun is just 0.5 miles (0.8 km) away. 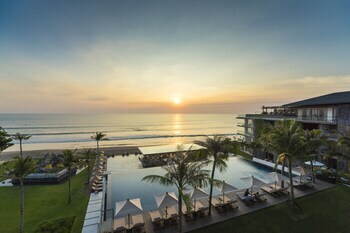 Another popular option is the Sheraton Bali Kuta Resort, which is 0.08 miles (0.13 km) away. Nothing comes close to arriving at Ngurah Rai International Airport (DPS) after a lengthy flight. Once you've picked up your bags and stretched your legs, you'll find yourself about 4 miles (6 km) from the bustling main streets of Seminyak. Look in awe at the biggest collection of Indonesian birds in the world. And there are species from Africa and South America too. Indulge in some retail therapy in the small boutiques and designer shops at this stylish shopping complex. For a relaxing break from everyday life or an energetic, activity-filled experience, this white sandy beach along the Seminyak waterfront is the perfect place to go. This 15th-century temple is still a functioning place of worship, where you can observe Hindus burning incense, making offerings and taking part in ceremonies. Experience one of Bali's ultimate beach experiences; though the sands are golden and the waters pristine, there's space for everyone. The quiet adult pool was particularly lovely. Buffet breakfast excellent & staff very friendly & accomodating. Pool area is fantastic , rooms are spacious, though lighting is quite dim.